Widowed Jessie Crain (Agnes Moorehead) owns a nice 200 acre plot of land deep in the wilderness of Nevada which she adores, but her restless niece Sharon (Susan Morrow) desperately wants to escape to the big city life (dumb move, kiddo). 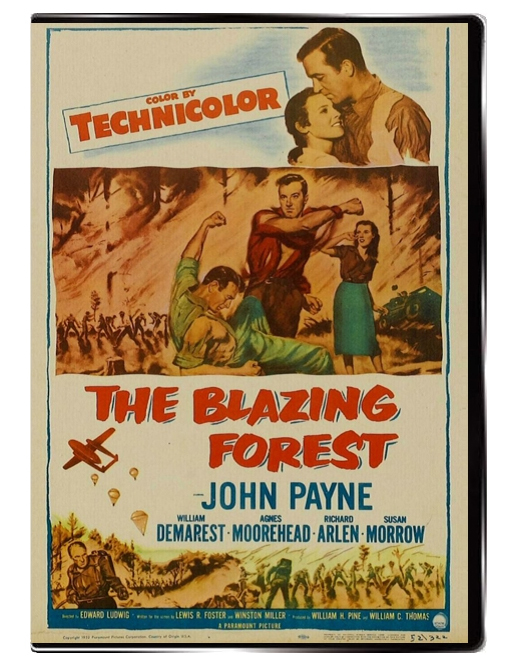 To raise funds for this wanderlust, the two redheaded beauties decide to harvest the lush forest on their land for lumber and hire workaholic hardass Kelly Hansen (John Payne) to oversee the logging operation. 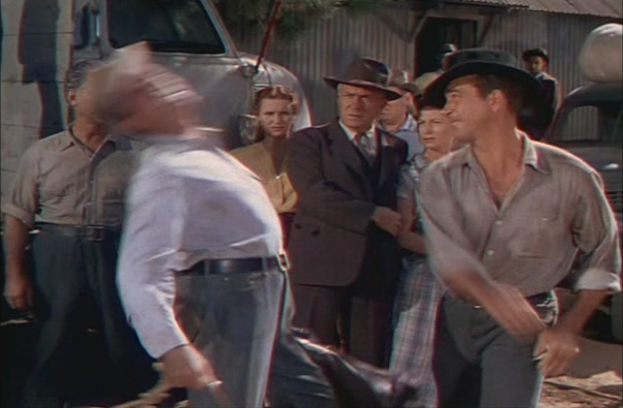 Hansen's crew of lumberjacks are a crude but friendly bunch, but among them is Hansen's no-good brother who is hiding from the authorities under an assumed name and also has an ax to grind. Hansen is a real slavedriver, with almost a pathological drive to keep working at every possible moment which rubs many the wrong way and drives a lot of the drama. 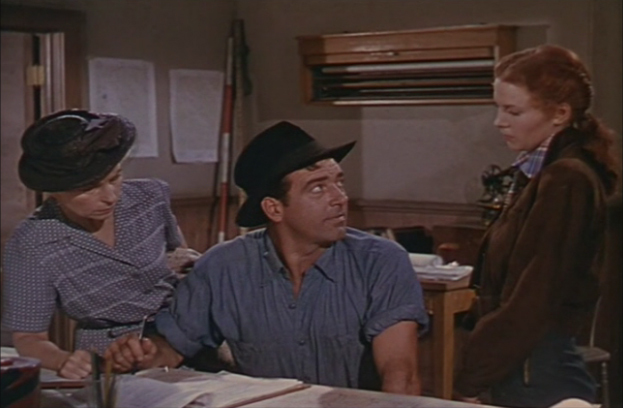 Fortunately as we know from other John Payne movies, time spent with a hot technicolor redhead seems to soften him right up. Tempers do flare, though, which eventually lead to flares of a totally different sort: a raging forest fire which threatens not only the whole operation - but their very lives! Shot on location in a beautiful forest somewhere (sorry, I can't find the exact location), this is a visually appealing film with a somewhat-uneven narrative - starting off strong, lagging a bit in the middle, and then really bringing home the goods in the climactic forest fire scenes which are absolutely terrifying and well done. I really don't know how they did this without burning down a national park somewhere, but kudos to the filmmakers for what they pulled off here on the budget they had! 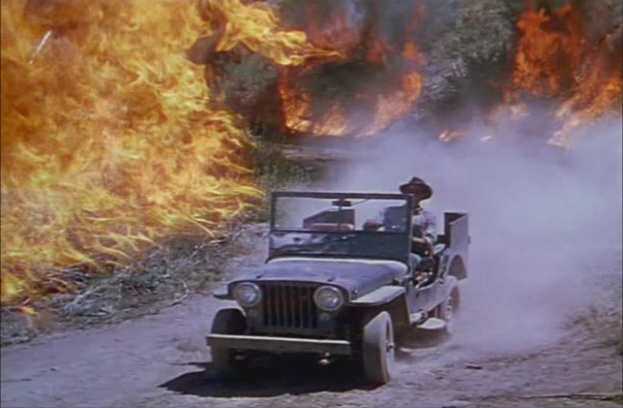 You'll see bulldozers, helicopters, paratrooping firemen, and wide, expansive shots of burning forests. Some interesting ins-and-outs of logging are explored including some dangers and catastrophes. Payne does a great job as the workaholic foreman who pushes his men to their limits (and in a few cases beyond) as the lovely Susan Morrow tries to get to know and understand him. 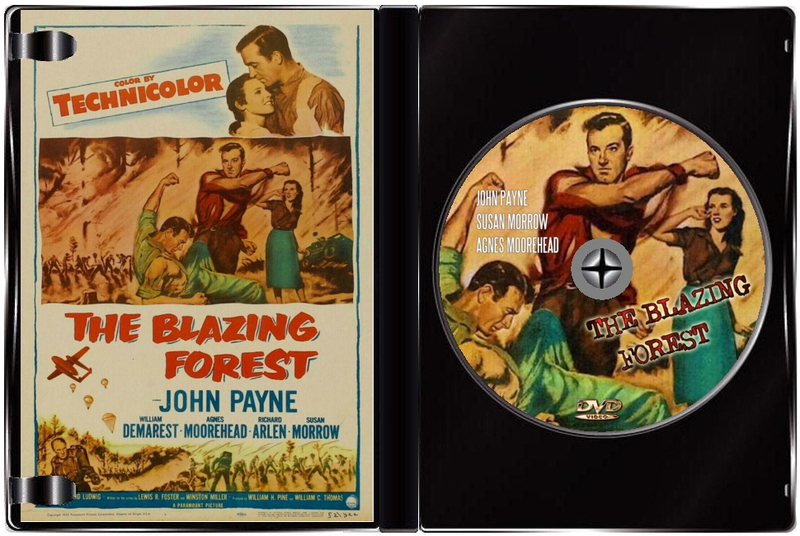 Richard Arlen does fine as the no good reprobate of a brother who is the bane of Payne's existence and even tries to horn in on Susan Morrow. 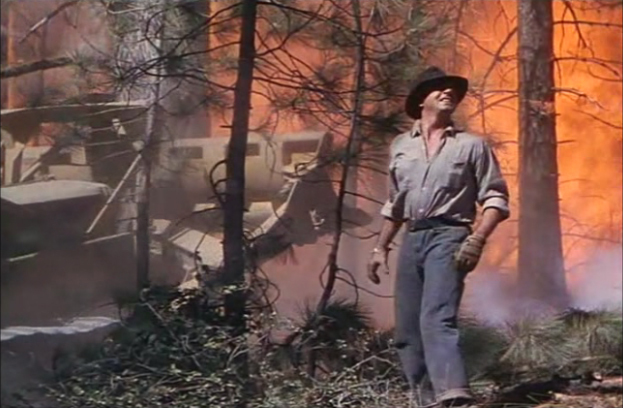 The film is shot in some nice color and the climax involving the forest fire is a real credit to all involved in the making.